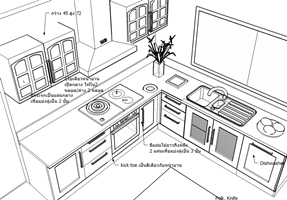 At Kitchens Direct NI, our aim is to Design and Install your dream Kitchen, Bedroom or Bathroom. We work with you in your own home to create a design that will suit your family needs and lifestyle, use our contacts form on the left to arrange your Free Home Design Appoinment. We are a Full Service company with a breadth of knowledge and experience supplying and fitting Kitchens, Bedrooms and Bathrooms across Northern Ireland. We have over 200 Kitchen Styles, Finishes and Colours to choose from. To visit our Showroom please contact us to arrange an appointment to ensure there will be a Designer available when you call.